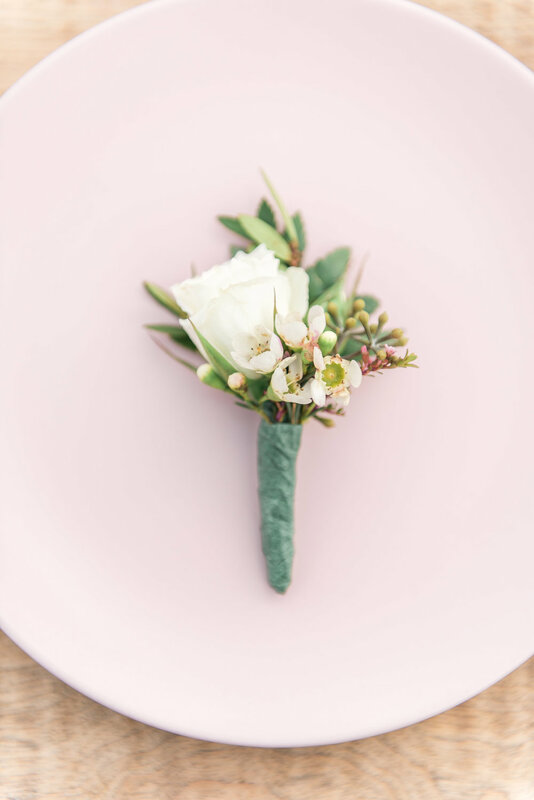 About the Stationery | Inspired by spring colours, the invitation items have custom wildflower wreaths to tie in the suite. 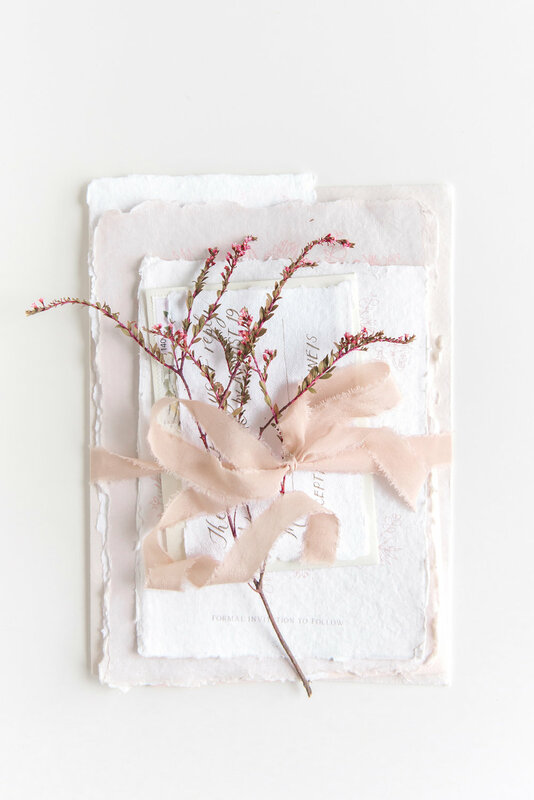 A rose-coloured silk ribbon is used to assemble and put together the invitations and enclosure cards. 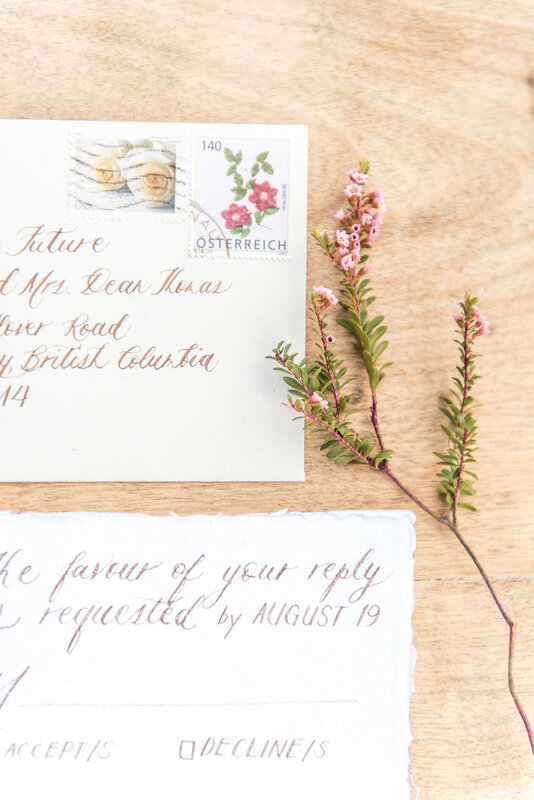 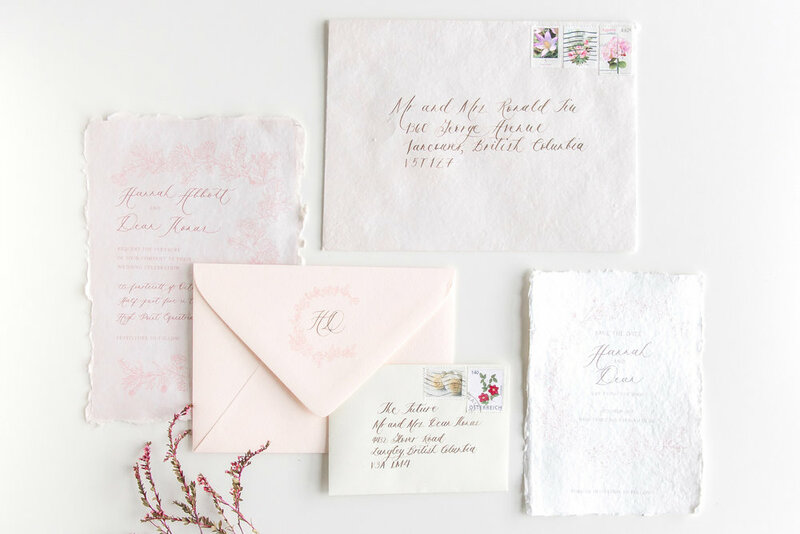 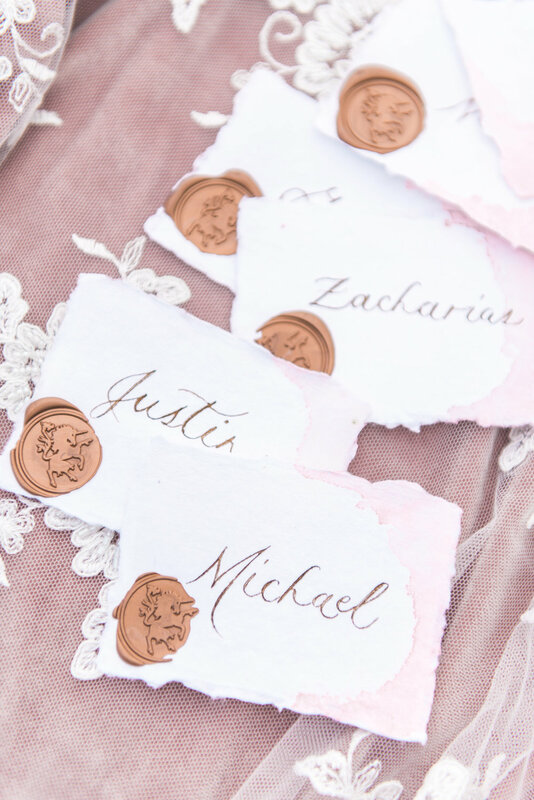 My favourite embellishments for the place cards on here are the unicorn wax seals, especially since this delicate and feminine editorial session was held at a gorgeous equestrian facility in Langley, British Columbia.